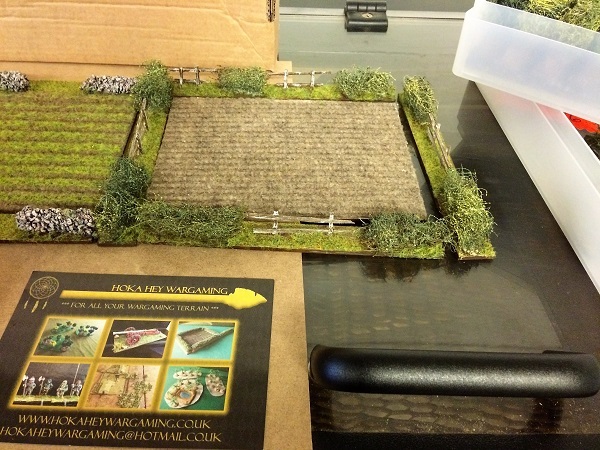 This set has a Cornfield section, a Ploughed field and 8 pieces of mix Hedge and fence sections and two walls. Will cover an area of 60 cms x 20 cms, when deployed. 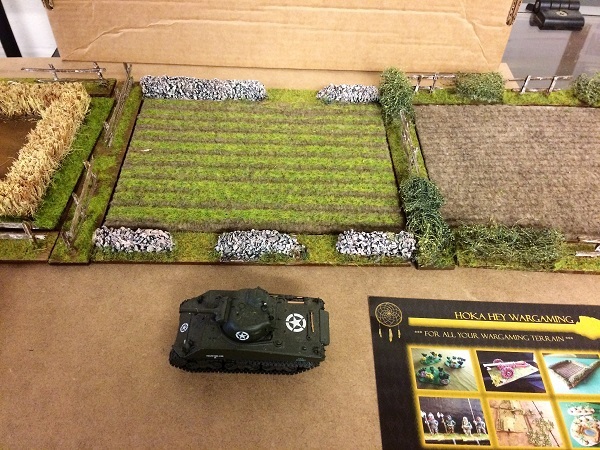 This is an unbelievable set - 8 sections of mixed Hedges, Hedge/fence or Fences and 2 wall sections. 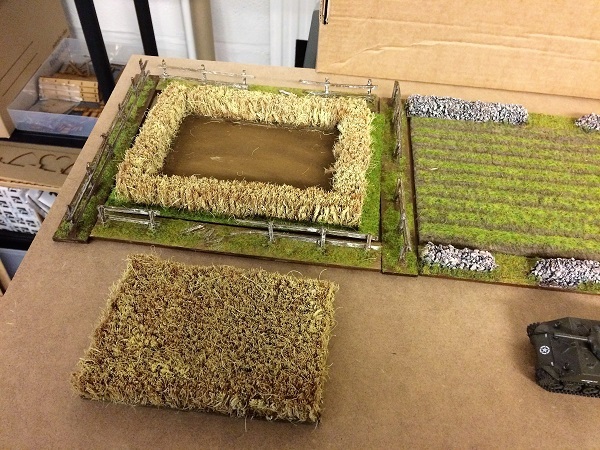 These will surround the Ploughed field and Muddy field and Wheatfield section, which are also included in the set. The set comes complete in a clear plastic A4 Storage box for all the above to fit in. 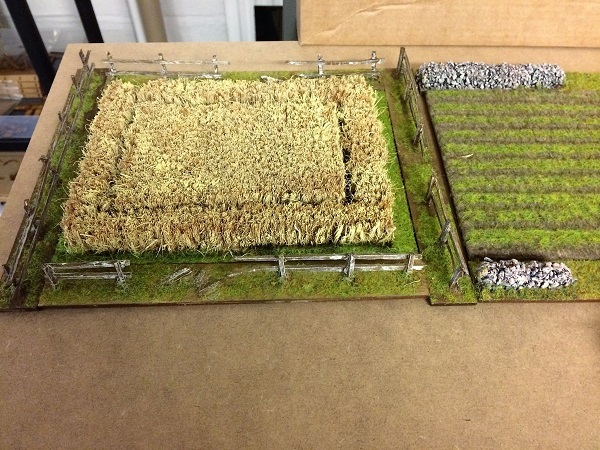 Designed to fit 20 -28 mm scale wargaming needs. N.B Extra pieces can be purchased separately and other items E.G, Curves, Corner pieces are also available.